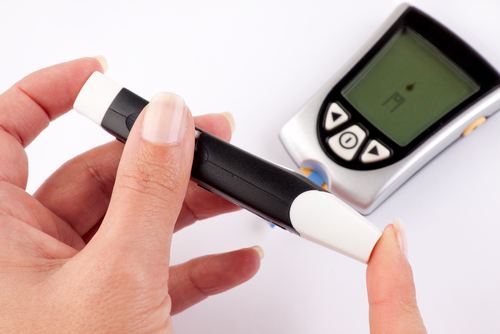 High blood sugar can lead to serious medical complications for those who suffer from diabetes. It can cause organ damage, nerve damage, circulation impairment, renal problems, and hypertension. If left unchecked, it can lead to blindness and amputation. To keep blood sugar under control, it is important look after what you eat. Create a diet plan with your doctor or dietitian, and monitor your blood sugar regularly. The rise or drop of sugar levels due to skipped meals, can cause serious medical problems. Here are some ways to help you control your diabetes. How you time your meals is vital to manage Type 1 and Type 2 diabetes. If you have Type 2 diabetes, you need to control the amount of carbohydrates in your system at any given time. Your blood sugar is affected by how much carbohydrate you include in your diet, so your intake should be stable all day long. Type 1 and Type 2 diabetics who use medication to control the disease need to know how to time their meals. A drop in blood sugar or hypoglycemia is a bigger risk for diabetics who skip meals. A skipped meal alters the balance between food intake and insulin production and use, causing your blood sugar levels to eventually drop. Insulin administration should be timed according to your time of the meal. Stick to your meal plan as much as possible, and if you take insulin, you should always carry snacks along with you to eat and keep your blood sugar from dropping dangerously. Low blood-sugar symptoms include anxiety, confusion, dizziness, drowsiness, speech difficulties, sweating, tremors, and weakness. If left unattended, it can lead to fainting, seizures, and coma. A skipped meal can lead to a rise in blood sugar as the resulting hunger can cause you to overeat later. Staying for long periods without eating can make it more difficult to control your blood sugar. Your chances of having a spike in blood sugar levels increases as you take longer periods between meals. Your aim should be to keep your blood sugar levels stable throughout the entire day. Skipping meals can lead to weight gain. Some people try to cut down on their caloric intake by skipping meals, but this can have the opposite effect in the long term. when you do not feed regularly, Your metabolic rate will slow down as it conserves energy and stores fat. Skipping meals and binge eating afterwards will disrupt your insulin response. If you cannot avoid skipping meals because of your work or other responsibilities, keep snacks handy to avoid hunger that can raise blood sugar levels.